When selling Highlands NC real estate keep in mind that garage storage adds appeal to a home. Let’s face it, there are a lot of toys involved with living in the mountains. Golf clubs, fishing rods, canoes, bikes, and golf carts are but a sampling of items that live inside the garage. The more organized and efficient your garage the more appeal it holds for would-be buyers. Take a good look at your garage prior to listing your Highlands NC home for sale. The garage is something that is meant for far more than a place to park your car. Often the garage is a place for a work bench. Of course this is also a perfect space for storage. Luckily there are so many options for storage these days that can maximize the use of your garage space. From pulley stems for bike and boat storage to wall systems for tools and findings, there are many ways to make your garage look both efficient and organized! 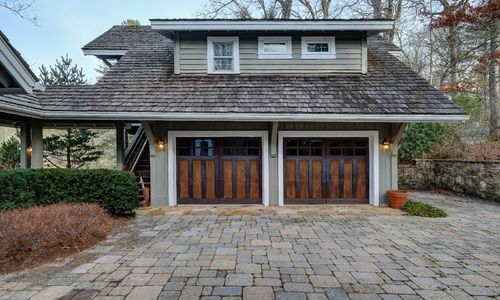 Your Highlands NC REALTOR has undoubtedly seen a number of amazing garages. As a result your REALTOR can provide you with great ideas and recommend reputable local contractors to help you achieve the garage of your dreams. Likewise there are many ideas to be found on Pinterest and Houzz. 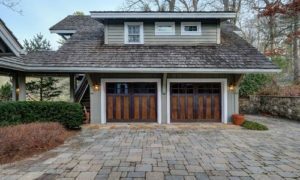 Take the time to prep the garage in your Highlands NC home and you will not be disappointed in the results. Contact our team at Berkshire Hathaway HomeServices Meadows Mountain Realty today to learn more about selling homes in Highlands NC. We welcome the opportunity to update you on the market while sharing a complimentary listing presentation at the same time. Let our knowledge and experience serve as your guide to selling Highlands NC real estate. Click here to read “20 Clever Garage Storage Hacks” from HGTV.